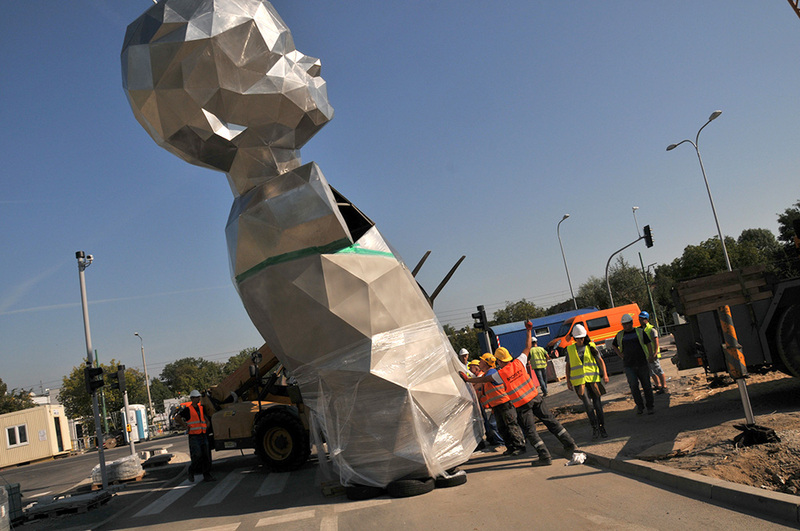 Early in 2016, i have been contacted by gallery 208 to create a monumental sculpture in Poznan public space, Poland. The planning was tight, only 5 months to create this 10 meters high and 5 tons sculpture. the monument every day, I wanted to make a positive work that a 4 years old child will understand and will tell: look, you can draw your own world. This sculpture, a portrait of my 4 years old daughter Lucie is my way to show her what she represents to me.